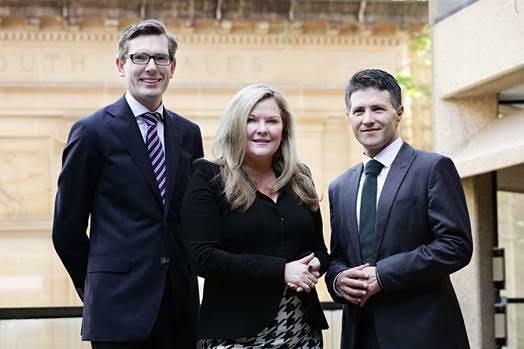 (L to R): Minister for Finance, Services and Property, Dominic Perrottet, Microsoft's Pip Marlow and Michael Gration. Microsoft has struck up one of its largest Cloud computing deals with NSW government. Agencies such as the Departments of Health, Finance and Services, Justice, FACS, and Planning and Environment, are among the first to have access to Cloud and mobility services, which includes Microsoft Office 365. Minister for Finance, Services and Property, Dominic Perrottet, said the new technology would provide more collaboration and information sharing between departments, which will have a big impact on productivity. Microsoft Australia head of public sector, Michael Gration, said the project has the potential to change the whole nature of work for many public sector employees. NSW has plugged $2 billion annual investment in information and communications technology and will continue to monitor the rollout of cloud-based services, considering additional applications for similar technology across government.